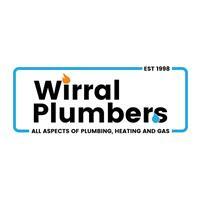 Wirral Plumbers & Heating - Central Heating Engineer based in Bebington, Merseyside. My name is Mike and I trade asWirral Plumbers. I am a sole trader which means that I personally install all boilers and heating systems myself so can guarantee the highest standards. I have a vast amount of experience in the plumbing and heating sector so can provide excellent advice whatever you particularly installation should be and can then provide a free, no obligation quotation via email for your consideration. I have all chemical powerflushing equipment to clean and maintain your system and am gassafe registered to work on all natural gas domestic appliances. Contact today for a free estimate or to discuss your plumbing, heating engineering or boiler requirements.